Objective: Reconfigure space in 1960’s home to create open kitchen with all new cabinets, appliances, and finishes. Results: The owners were very involved with this project, in fact choosing all the materials and lighting. The kitchen was demolished, relocating cabinets to allow a visual connection to the family room. We also annexed 6 square feet from an adjacent half bath to increase the width of the hallway and allow for more flow from the front to the back of the home. The size of the kitchen was not changed but the open space creates the impression of more room. An exterior door was removed, wood paneling was replaced with drywall, and all new appliances, cabinets, counters, and tile backsplash are now enhanced with gorgeous, modern lighting. 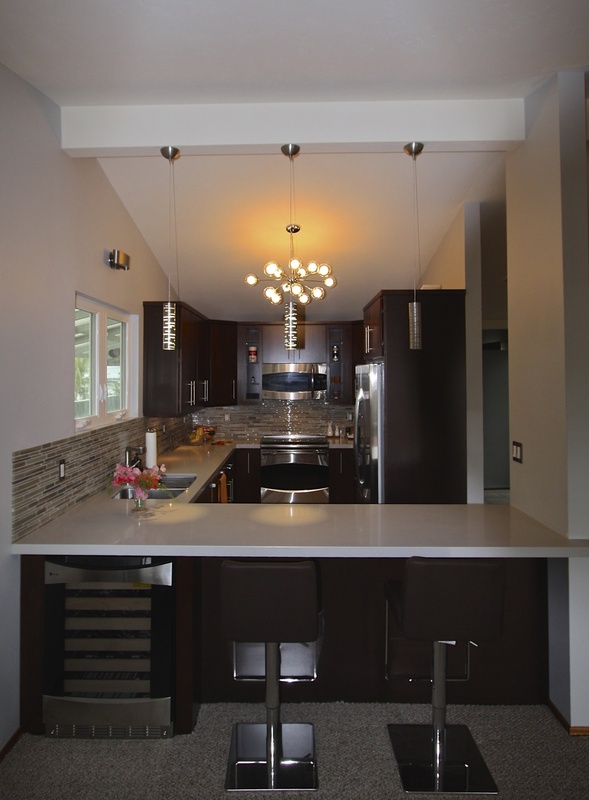 After: Beautiful countertop, backsplash tile and really great modern lighting. Before: Poor visual connection between family room and kitchen. Also, ugly finishes! After: Great connection between the rooms. Before: Dated old cabinets and finishes. After: The only thing that is the same is the camera angle of the shot. Before: A kitchen begging for an update. Great contemporary lines in this mid-century tract home. 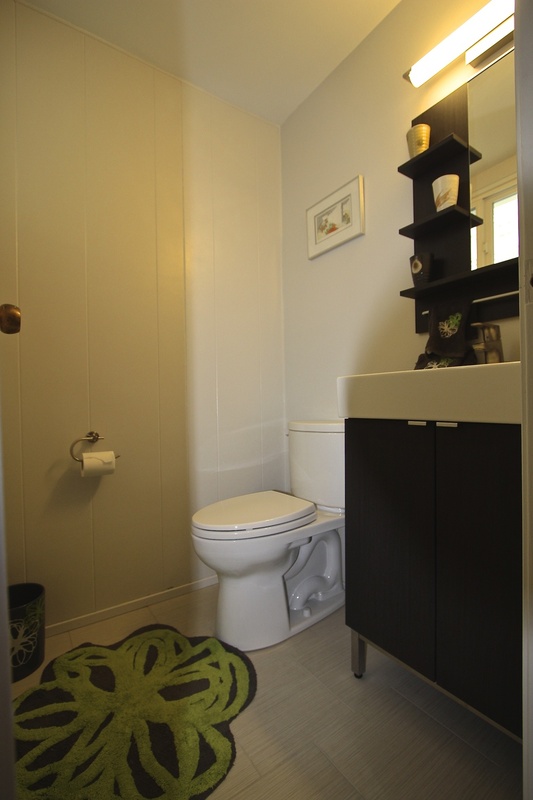 Half bath was reduced by about 6 sq. ft. to allow a wider hall.